I believe that Music Learning Theory has been one of the most profound themes I’ve ever featured on the blog and I’m so thankful to everyone who has shared their ideas and stories around this remarkable approach to music education. It has certainly changed my thinking on music teaching. For the final post this month, I thought I’d hand over the reins so that other teachers could share their stories of using Music Learning Theory in their studios. In this article, read about the outcomes that teachers are seeing from this approach. 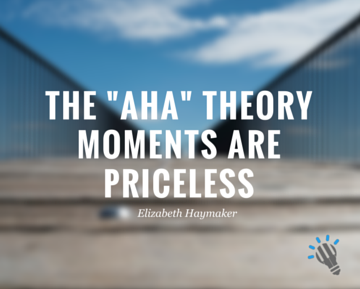 Learn about the deeper musical understanding that MLT develops, how it can build and maintain motivation and give students those “Aha!” moments of real musical understanding. If you’ve enjoyed the articles from this month, please head to the Gordon Institute for Music Learning to find out more. 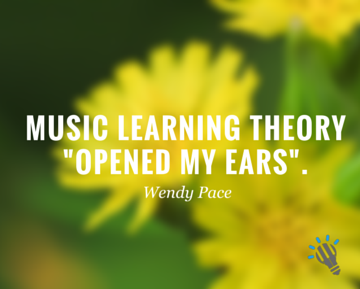 You can also Google “Music Learning Theory” and watch some of the great videos you’ll find on Youtube. Also, don’t forget to watch the podcast on Audiation in Action with Andy Mullen. This hour of free training has the power to change your teaching forever. Don’t miss it. The week must have been a rough time for her poor cat if it needed so many baths. My student practiced only once a week. Since option one seemed very unlikely, I was forced to confront a truth that at that time bewildered me but explained why she was not making much progress despite her interest in music lessons. Retrospectively, I believe that this experience played a role in shaping the direction my career would take. I began to think deeply about motivation, ways of learning, busy schedules, and most of all about the future of music education in my community. My teaching has gradually changed as I continue to focus on what is in my control: why, what and how I teach. I was introduced to Music Learning Theory at a music conference in Germany where I met Dr. Edwin Gordon for the first time and watched him teach. Further studies with Dr. Gordon made me aware that everyone has “the potential or capacity to learn music” (music aptitude) and his insight and instruction confirmed my resolve to make my teaching increasingly aurally centered. 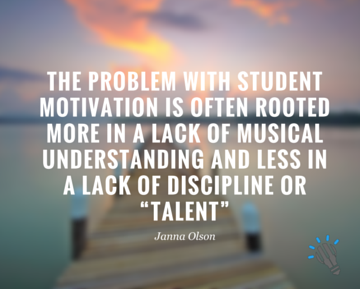 I have discovered that the problem with student motivation is often rooted more in a lack of musical understanding and less in a lack of discipline or “talent”. It is tempting to rely heavily on notational prowess and to forget that the foundation of all music learning is aural understanding. Dr. Gordon refers to this as audiation. Audiation forms the foundation for musical expression and music literacy. In other words, we think music “musically” with understanding and with expressive communication skills, just as we do with verbal language. Interested in finding out more about Audiation? 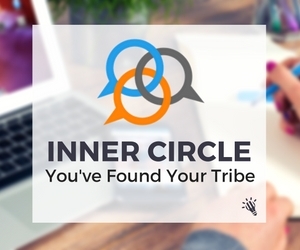 Check out the Podcast with Andy Mullen and see it in action. As my students slowly learn to feel the pulse and identify the meter without notation, their sense of rhythm and musical interpretation improves. As they learn to hear the tonality and identify the resting tone (tonic center) they gain a deeper understanding of style and musical expression. As their vocabulary of essential rhythm and tonal patterns grows I see a blossoming confidence to improvise, create and compose. There are no short cuts when it comes to training our students to practice and play with focus and meaning. However, I now believe that motivation for learning and practicing can be achieved with the firm establishment of a foundation of audiation—the ability to hear, think and understand music internally. When we begin by establishing context—meter and tonality—we give our students a gift that will hopefully lead to life-long learning and a love of music. I have witnessed more “practiceless” weeks and could add to the list of unusual excuses. This fascinating world of Music Learning Theory however provides a practical solution. We sing, move, chant, improvise and create. It promotes a lesson framework that is not reliant on many hours of practice to achieve musical understanding and growth. It has given me tools that enable me to teach more to the individual differences of each student. I am witnessing a depth of understanding that has led to increased motivation on a level that I never could have anticipated. I have learned to be patient with slow and steady progress. I find myself immersed in learning from my students as I watch them find the joy of creating—discovering their own individual voices as artists and music makers. I’ve been using MLT with the Music Moves For Piano series in teaching piano for the past 4 yrs. Before that I used MLT in teaching elementary music for 6 yrs. Being introduced to MLT in 2002 in my music education program was life-changing for me. I was a great sight-reader, but never played without notation. MLT “opened my ears”. For the first time I could actually play Happy Birthday or a Christmas song just by ear. Most of my students come in groups of 2-4 students at a time, for an hour. We always start with movement and singing (me singing, them listening). The movement – starting with continuous flow – helps the kids develop an internal sense of flow and space. The rhythm patterns (RPs) and tonal patterns we chant and sing are our “vocabulary” and are the key! The more movement and chanting RP’s I have the students do away from the keyboard, the better they are at internalizing a steady pulse and keeping a steady tempo, even the youngest ones (I start as early as age 4). Several students who have been with me for 2 or more years are able to take solo pieces that we have started and basically teach themselves the piece in a week or two. All new music is introduced by having them listen and move – identify the meter, tonality, chant the RP’s, sing the tonal patterns…again the better I can help them listen, the better they play. The tonal patterns, using solfege – moveable DO with LA-based minor – and rhythm patterns (using Gordon’s beat function syllables) are always taught separately. The kids quickly learn to identify those patterns in the songs and pieces we are singing and playing, so they REMEMBER the important/essential elements of those and don’t forget. There is no need for memorization. They internalize it. We also improvise in every lesson, using 4-beat (macrobeat) RP’s, random keys at first, then in a major or minor key using tonic/dominant/subdominant pitches. Having 2 or more students means they are always playing duets – improvising together – one student plays the big/macro-beat, one plays the little/micro-beat, one plays rhythm patterns. This evolves into them creating their own pieces and compositions. By the way, I was in my early thirties when I “found” MLT – and hadn’t touched a piano for over 10 years. I know it’s easiest to teach as we were taught, and learning a new approach that involves singing (!) may be intimidating. But the kids really love it and are very forgiving. They pick up the rhythm patterns with the beat function syllables so quickly – they are like magic. Even if they are using a different system (like Kodaly) at their school, they have no problem using Gordon’s syllables with me. I would encourage any teacher to start simply, just try rhythm patterns and movement – get the kids listening more. It truly is worth the effort, and it has made music making so much fun! Edwin E. Gordon’s Music Learning Theory has led me to a deeper understanding of how children learn rhythm, tonality, reading, space, flow. One of the most valuable lessons has been about tonality. There are two concepts I include regularly with my students. We sing and play tonal patterns grouped by the functions in the piece they are learning. For example: a simple version of Amazing Grace uses I, IV and V. We sing tonal patterns in major tonality: I is DO MI SO, IV is FA LA DO and V is SO TI RE FA. A pattern sequence might be something like: DO MI DO, FA DO LA, SO RE TI, DO SO DO. With their voices and at the piano, students echo, translate, label and improvise tonal patterns. We sing and play the chord roots of the piece. For example, the chord roots for the start of Amazing Grace are DO DO FA FO (one root per macro-beat in triple meter). With these two concepts covered then it is a simple leap to improvising on the chord progression of the piece, or improvising a prelude or a B section. They read with more flow because they are able to make predictions. Also, any note can be DO so they transpose easily. Students are attuned to the other notes that could have been in the piece. The player is interacting with the composer. The human mind searches for groupings and patterns. It is so fun to see a student discover that Mary Had a Little Lamb and London Bridge have the same chord root pattern or that Greensleeves and Fur Elise both have a section with this progression: III VII i V.
These music theory “aha” moments are possible long before students are ready for theory, because they have a way to organize and talk about what they hear in the music. If I hadn’t studied MLT I don’t think I would have known that students have a much easier time grouping tonal solfege by function than cataloging by scale degree. For example, if I ask a child to improvise (sing) a dominant pattern in Major, she will sometimes sing the wrong syllable with a certain note but almost never sing a tonic or subdominant pattern. I think this is because grouping tonal patterns by function is relevant to audiating the underlying harmonies of a piece. Harmony is a powerful force in what makes music move us. To anyone interesting in studying MLT, I strongly recommend Christopher Azzara’s TED talk (watch above), Ron Malanga’s blog Mind, Music, Muscle and Myth, and Eric Bluestine’s book: Ways Children Learn Music, and of course Marilyn Lowe’s series written in cooperation with Edwin Gordon: Music Moves for Piano. How have you been changed? What have you learnt? Has the focus on MLT this month made you think about how you teach? What have been your biggest take-aways from the podcasts and blog articles? Share your thoughts about MLT below.